Hello again and welcome to part 2! 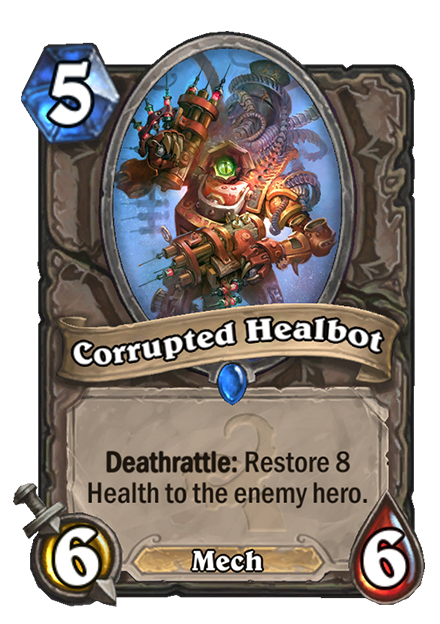 This time we’ll be taking a look at the Corrupted Healbot, Validated Doomsayer, Mire Keeper, and Call of the Wild. Ew: Bad card – won’t see any play. Meh: Fairly bad card – probably won’t see much play. I don’t think you’ll see this card in anything but Priest. Auchenai Soulpriest makes this card ridiculously good, but you need to have a way to trade it before your opponent can kill your Soulpriest. Other than that you might see it in slow control style decks that only care about board control in the midgame but I don’t think it’ll be adopted by pro’s. 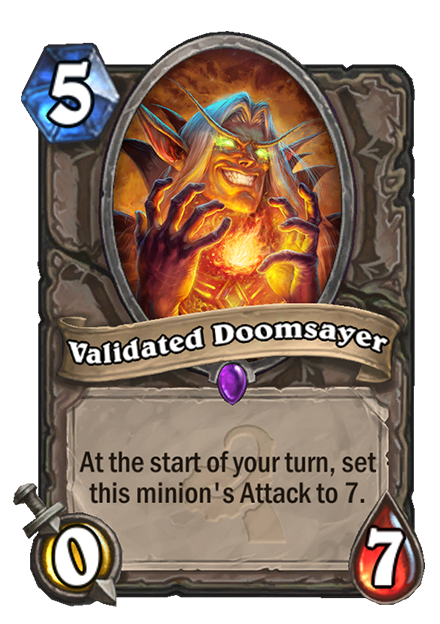 Doomsayer’s evil twin has almost the same effect as good ol’ normal Doomsayer. Your opponent is going to want to kill it before it becomes a big 7/7 threat so against most decks you’ll end up getting at least a 7 heal out of it. I could see Reno Control Warlocks running a copy of him in addition to normal Doomsayer because of this. He’s much too slow against agro decks though because they can simply ignore him and go face and then once he gets that attack buff he can only deal with one minion at a time. The Keeper of the Mire is an excellent Druid card. You’ll start to see him in traditional ramp Druid decks as well as the token Druid variants. 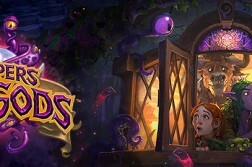 He’s valuable in both because in ramp you can get him out early with Innervates, Wild Growths and Aspirants to even further accelerate your curve. In token he gives you two minions in one if you summon the slime which can apply a lot of pressure in your 4-drop slot. It also has a valuable 3 attack allowing it to trade with Piloted Shredder, SI:7 Agent, Earthen Ring Farseer, and other common 3 and 4 drops. 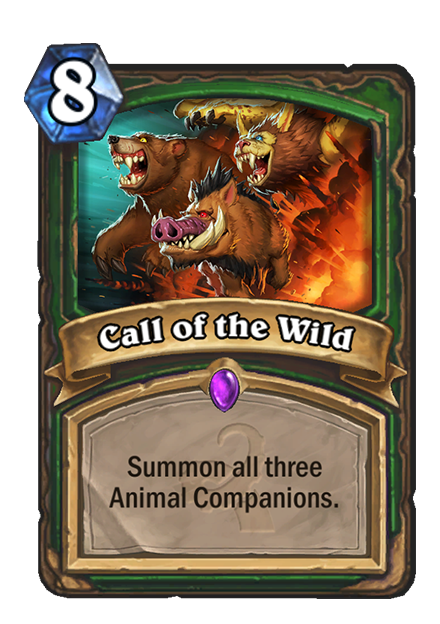 The first “Ew” card of the set; Call of the Wild is just incredibly slow for the value. For a whopping 8 mana you get a 5/4 taunt, a 2/4, and a 5/2 charge. 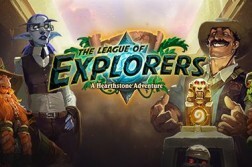 The only Hunter deck I could see this occupying is the obscure Reno Control Hunter or Malygos Hunter. 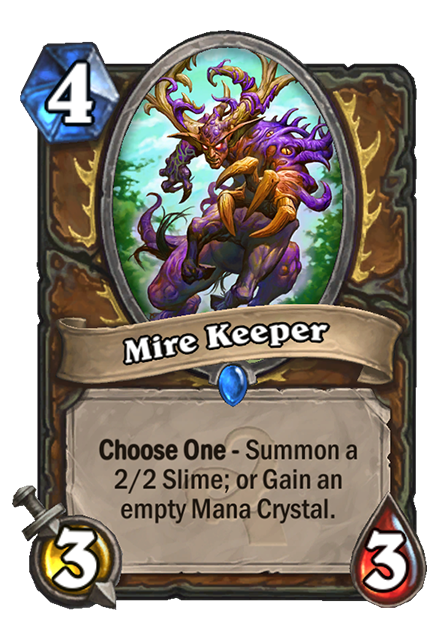 Most of the customary Hunter decks such as Face and Midrange won’t even take a 2nd look at this card. Perhaps at 7-mana it’d be useful because you could chain it with Unleash the Hounds on turn 10 but even then I think it’d be disappointing.